Give the gift of health and fitness. Gift certificates can be purchased below and are perfect for holidays and birthdays. 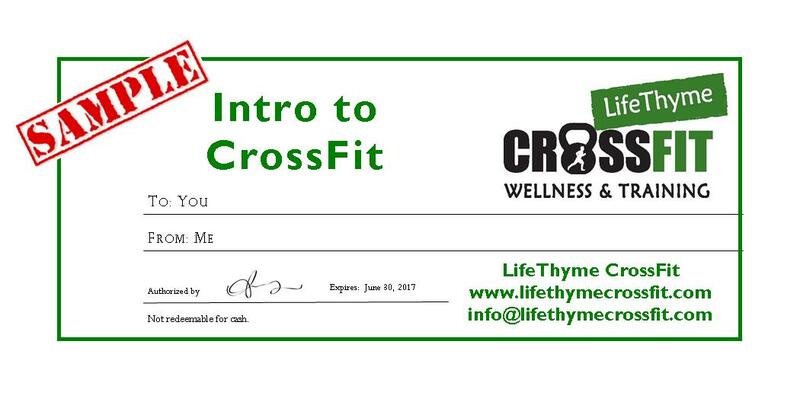 This 12 class punch card offers 6 fundamental/intro classes and 6 CrossFit classes over a 6 week period. 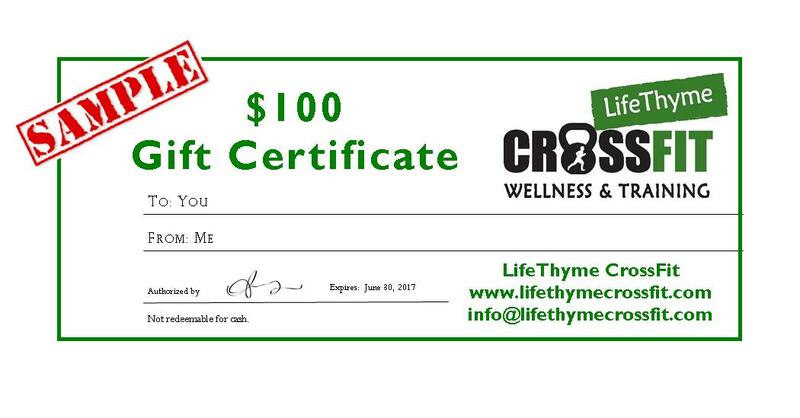 Give someone $100 worth of credit to be used on classes, clothing or any other LifeThyme CrossFit products. Give someone $50 worth of credit to be used on classes, clothing or any other LifeThyme CrossFit products.